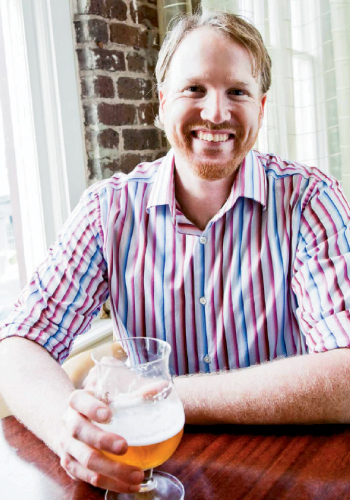 Drink to That: Cypress Grill’s Craig Deihl, a James Beard finalist for Best Chef: Southeast, serves a spread of easy Italian-inspired small plates. 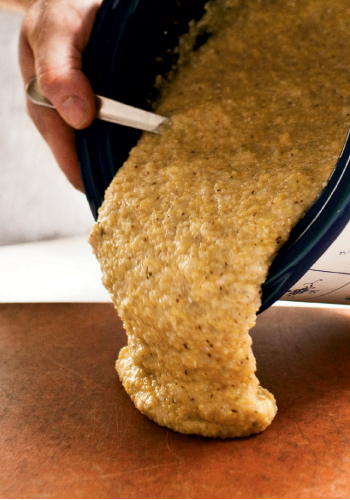 “Cooking polenta—or stone-ground grits—in a crock pot overnight is the easiest way to make it,” says Deihl, who uses Anson Mills Artisan Fine Polenta. 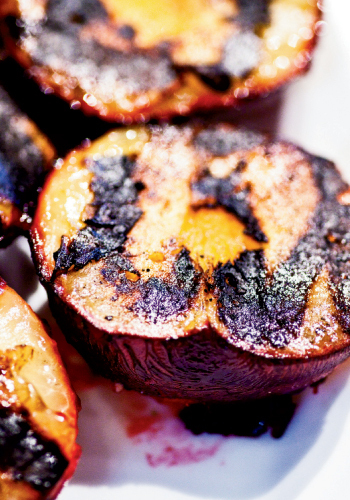 A plum’s tendency toward tartness fades when grilled because the process draws out its sugary side. 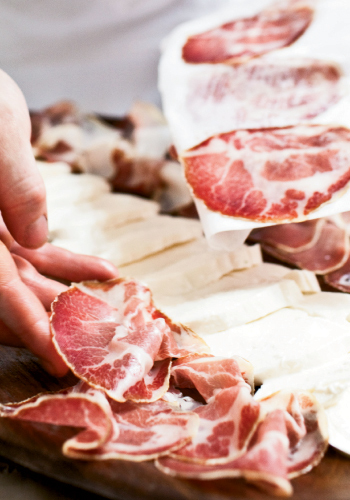 Ask your butcher to place thin slices of cured meat on deli paper so it won’t stick together. 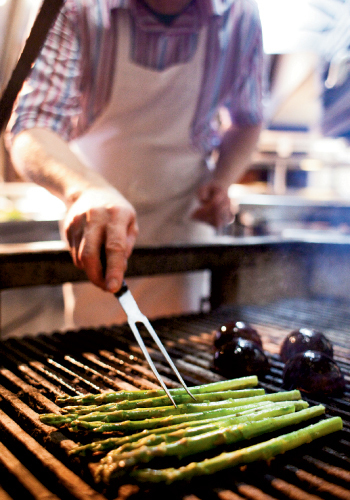 Asparagus only needs a minute or two on the grill. 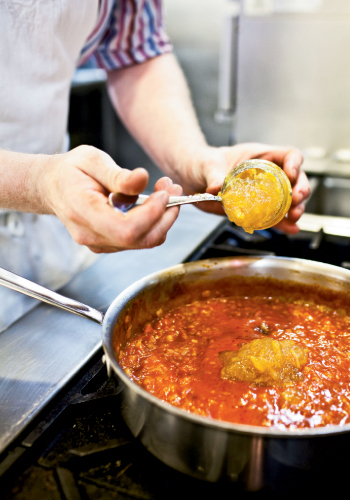 For the best tomato-orange marmalade sauce—used to sweeten spicy meatballs—make it two or three days ahead to let the flavors meld. Slice of Heaven: Served with cured meats, mozzarella gets a lift with a sprinkling of chives, black pepper, sea salt, and extra-virgin olive oil. 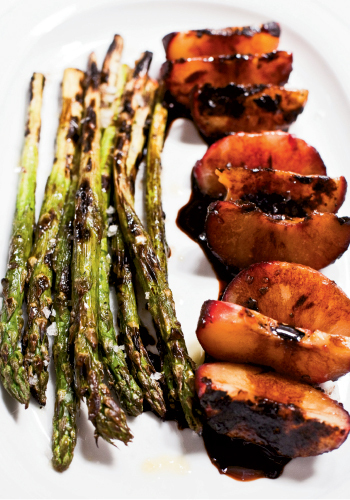 Grill Master: Plums—all the more sweeter when grilled—counter the earthy asparagus and sharp balsamic vinegar drizzled over the dish. Prefer a traditional meal with an appetizer? Serve this as an opener. 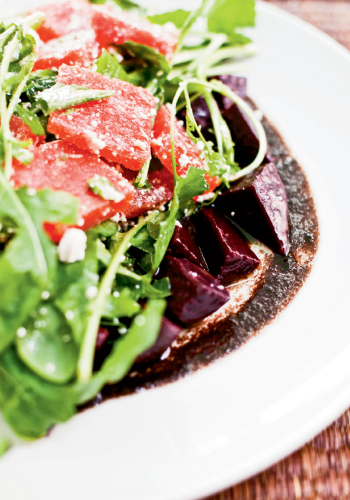 Banner Dish: Coincidentally the same colors of the Italian flag—red, white, and green—this refreshing salad of beets, watermelon, feta, and arugula gets an edge with a purée of olive oil and cured black olives. 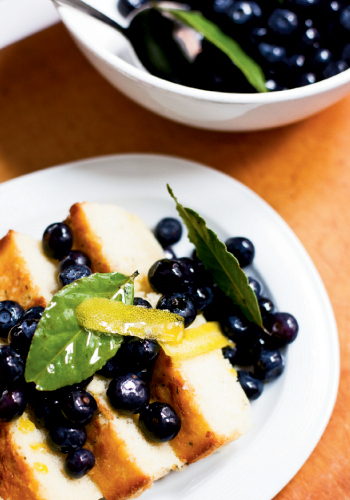 Secret Ingredients: Fresh thyme and a syrup infused with bay leaves add zest to this pound cake. 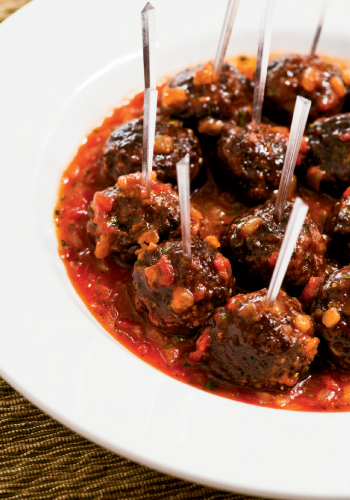 Sweet & Spicy: Redolent with fennel, these lamb meatballs are glazed with tomato-orange marmalade. Craig Deihl, executive chef at Cypress, is known for his farm-to-table commitment, talents with charcuterie, and for founding the Artisan Meat Share. Last fall, he joined other Lowcountry Slow Food champions to represent Charleston at the organization’s Terra Madre conference in Italy. Afterward, Deihl explored the Piedmont and Emilia-Romagna regions to see if his stateside renditions of Northern Italian fare ran true to their roots. Besides affirming the dishes’ authenticity, he was taken with the region’s small-plate meals—just right, he says, for Spoleto parties or other summer get-togethers. Traveling through northern regions of Italy, Deihl was struck with how prevalent assaggini or “tastes” were. “We know them as small plates,” he says, “and gathered together they can become a light but satisfying meal, perfect for evening event fare.” Deihl devised this early summer menu to celebrate the season and honor classic Italy—fitting, considering the May to June Spoleto Festival’s Italian origin. 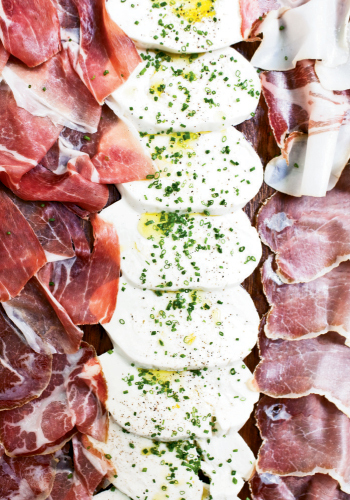 The lineup—prosciutto, mozzarella, and coppa; grilled plums and asparagus; arugula salad with roasted beets, watermelon, and feta; parmesan polenta; lamb meatballs; and pound cake with blueberries—is meant to be set out all at once. But Deihl suggests you start with a plate of cured meats and cheeses primo. “We had that every day we were in Italy,” he says.